Ravenhall Risk Solutions Ltd Achieve Chartered Status for 9th Year. The Chartered Insurance Institute (CII) has awarded the prestigious ‘Chartered Insurance Brokers’ title to Ravenhall Risk Solutions Ltd, one of the UKs leading providers of insurance advice and support, for the 9th consecutive year. Chartered status is an exclusive title only awarded to firms which meet rigorous criteria relating to professionalism and capability. 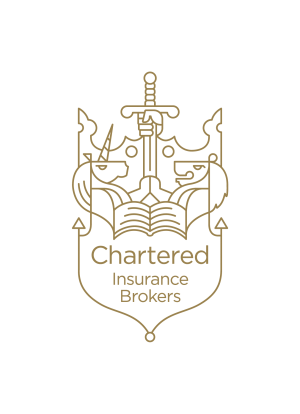 All Chartered Insurance Brokers commit to the CII’s Code of Ethics,reinforcing the highest standards of professional practice in their business dealings. Ravenhall Risk Solutions Ltd specialises in providing independent advice on all types of insurance for individuals and businesses. To date, less than 200 firms have achieved Chartered status, indicating that this is a highly exclusive award reserved for the leading firms of the broking industry. Ravenhall is an Independent Chartered Insurance Broker, who provide bespoke and tailor made advice to clients throughout the UK. Our award winning team ensure that our clients understand the process, their demands and needs and have the right product to protect them and their assets. Founded in 2006, Ravenhall have grown to be one of the UKs leading Chartered Independent Insurance brokers, with headquarters in Leeds and an office in Belfast. Ravenhall has been designed to deliver traditional service combined with cutting edge technology to allow our clients to get the best of service and efficiency.